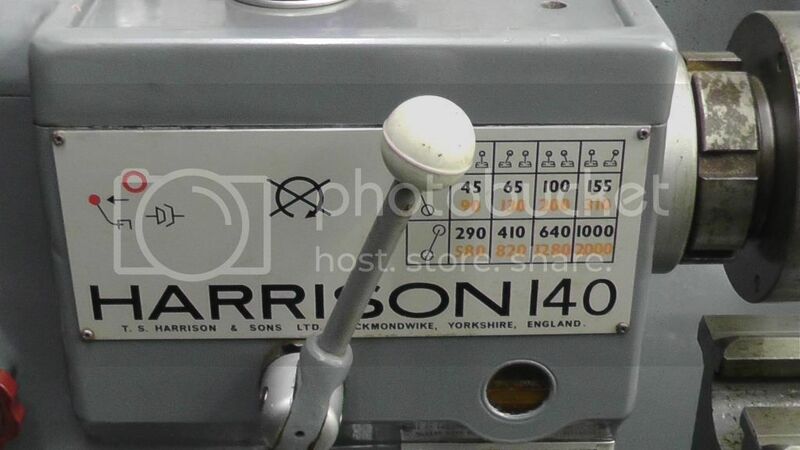 Hi Oz , from what I have seen of Harrisons don't take anything for granted without seeing it with your own eyes, like your motor, what the manual says it will be and what it ended up having can be two different things with Harrison lol. I think John is going to run his off the rotary phase converter, I am not sure about this but I have heard somewhere that you need a special inverter to run a twin speed motor like John's 140 has fitted. Each speed on the gearbox has the normal speed as marked in the low range when the motor is running in low ( electrical ) speed 1500rpm range , then if you switch the motor to high speed range 3000rpm each gear selection would have the relevant double speed of the low motor range. So in effect twice as many gears. Not sure if it needing to be special inverter is correct or not ...........anyone else know ?? Hi Mick, you don't need to convince me that Harrisons made in that era were devoid of any predictable logic and completely random in deciding specs of their machines. They're often a bloody nightmare to source the right parts for because of these assembly inconsistencies. I did wonder whether a normal inverter would cater for the 2 speed motor or a special unit was required. On the subject of John's 140,what I did notice was the backlates etc in photos seem to be the L00 taper fitting which is a huge improvement over the threaded spindle like mine and micktoon's. And John, you look ever so youthful and very fetching with the blonde wig on. .....OZ. Oh Oh whats to become of John & Mick will it be a case of fighting for bargains when out at Car boot sales for the Harrisons parts or will they over a a share the spoils. Hi Oz , I thought you would know about the curse of working out what is what with harrisons. 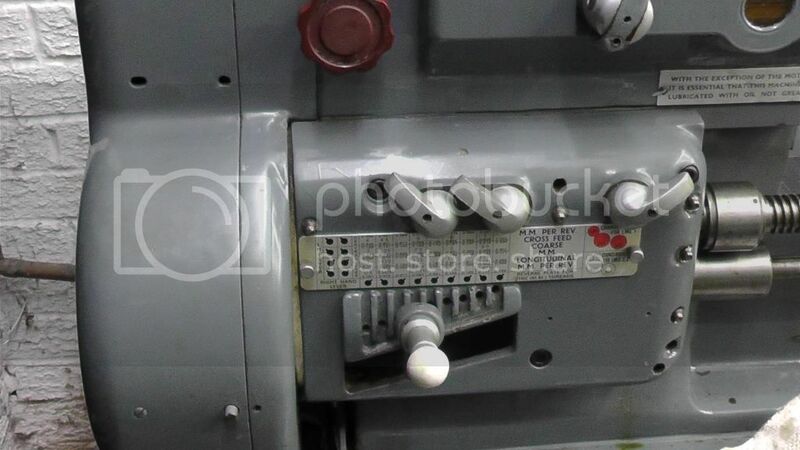 Well spotted John's lathe is L00 taper nose , it is better but you can not really make backplates etc , well not as easy anyway , lucky for John he has everything except I think there should be a 16 inch faceplate too. TV wise there are shows regarding all sorts like Antiques Roadshow, Bargain Hunt, Auction Hunters (USA), a few more. Time we had a Machinists Show Scavenger Hunt staring John n Mick. "Time we had a Machinists Show Scavenger Hunt staring John n Mick." No! Don't suggest it then everybody will be out there looking for bargains. It's bad enough that John and Mick are out there taking all the good stuff so that I can't find anything! Let's just keep it a secret amongst ourselves. Are those the before or after shots John? Either way she looks fantastic! what has been fek'd out of the shop to make way? Hi John, Excellent news I bet you are chuffed! I also used steve from landylift to move my Covmac from Scarborough to Langtoft, We had him for the day and ended up moving another three machines round the village! He is a good guy, and knows the moving game. It was quite a shock the first time I went to use it, I had cleaned it, drained the coolant, cleaned it up, painted it (Green, alright look, Im sorry but it was already green and only needed touching up, and I would have preferred grey, but never mind) Put the vice on, set up a simple job (slotting a 1 1/2 BSP plug for a compressor cylinder head) Twas then I noticed ! Having never used a metric machine before, I was worried, but I speak a bit of French, and I thought, Damn you Napolean, how difficult can it be, and the answer is, not very! Congratulations John, It looks like it has hardly been used! Can't waid for the nightcap. 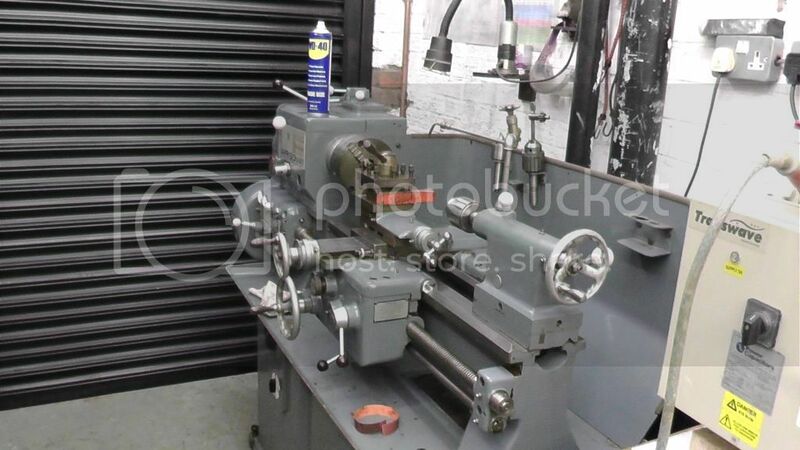 Hi John, glad to see the lathe safe and sound at your place. 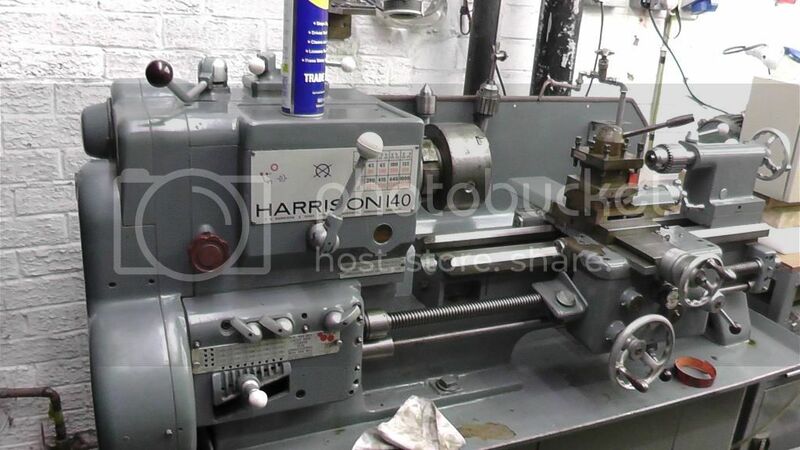 The lathe is as good as it looks mechanically wise too so a good bit of kit all round. As does John and his new lathe, well done it looks like it was made for that spot. I can see that the 4x6 bandsaw has been ousted but where too? Down the other shed you'll be kept fit n slim running backwards n forwards if that is the case. But what of the drill press?? Gas bottles?? Ok I have noticed you've had a garage door change as well no more panel lift but new roller door was that in prep for the Harrison arrival if so its been known for some time?? Clean as a new one. All those new tool rack to make. How soon before we see John running the Boxford, mill and Harrison all in a SNNC all at once will he blow the fuse box? 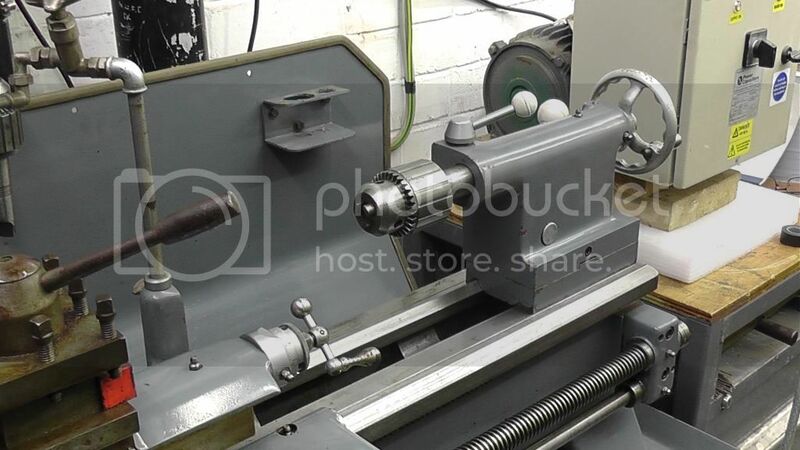 For some strange reason I just had a vision of john putting the two lathes tail stock to tail stock and bolting them together so he can turn longer shafts between centres. 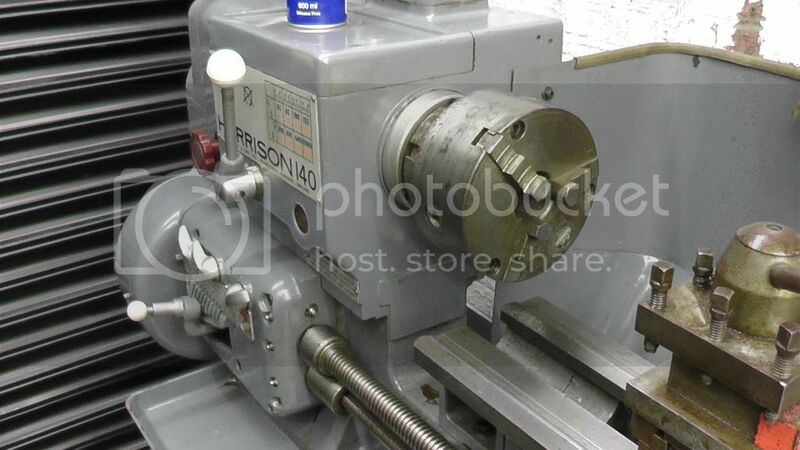 Used to run my old 140, mill on power feed and bandsaw. 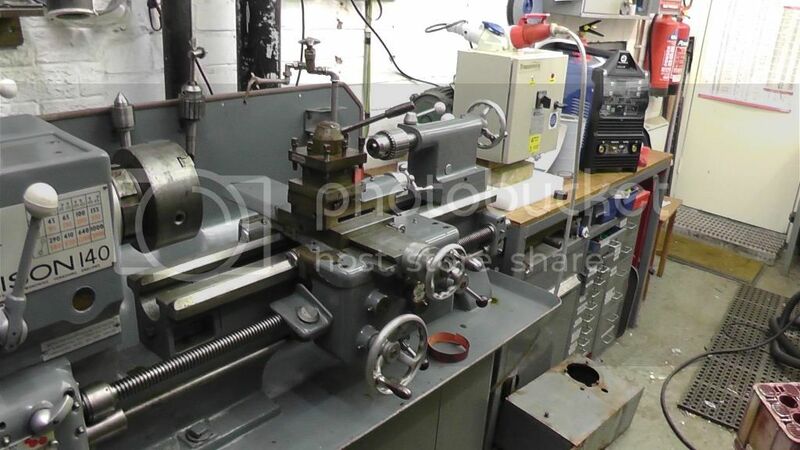 Newer lathe struggle to power lathe and same mill, either can trip fuse box. Johnny looks like its recently ish been painted, saves you a job. Promise keep it grey. Very nice john. Looking very nice. Seems to be in excellent condition. Can't wait to see its snnc debut. I can see from the photos that there ain't much wear on any of the slideways, and yer got the removable gap piece option as well. A rare find indeed, top banana,John. John just watched the video sorry to hear about Deb hope she is ok and it goes well next week. Nice to see some fast speeds on that its getting close to the speeds on my wood lathes 3000 rpm, the old Myford only does 750rpm. John, I have a question. 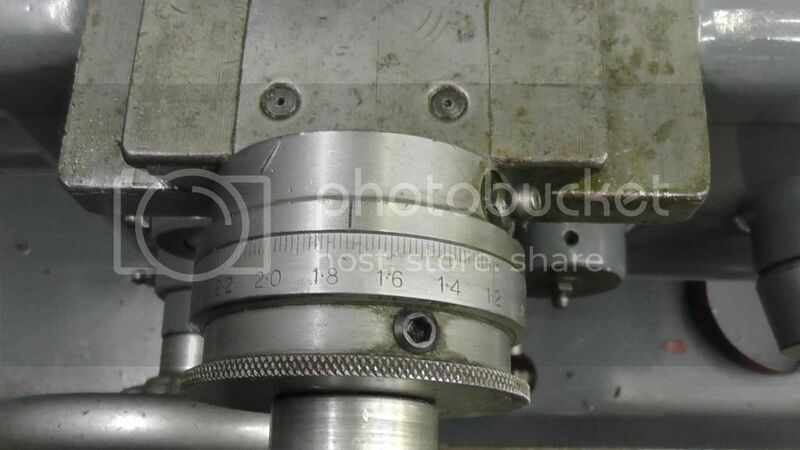 Is that a detent type slip clutch on the leadscrew? 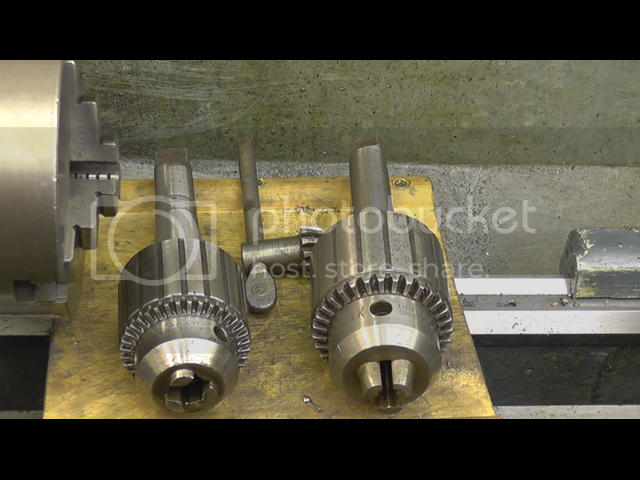 The one on mine is just a castellated dog clutch to disengage the leadscrew when not thread cutting.....OZ.